CEO Chris DeWolfe steps down - is Tom Anderson (pictured) next? There's been much rumour and speculation regarding the top jobs at MySpace but the website, owned by News Corp, has finally admitted that its CEO, Chris De Wolfe, is stepping down. De Wolfe is leaving his post after a six-year tenure at the website. In this time he has seen MySpace become the biggest social-networking site in the world, only for Facebook to come in and seize the top spot. "MySpace CEO Chris DeWolfe and News Corporation's Chief Digital Officer Jonathan Miller, announced today that, by mutual agreement, Mr DeWolfe will not be renewing his contract and will be stepping down in the near future," says the press release. "Mr DeWolfe will continue to serve on the board of MySpace China and will be a strategic advisor to the Company." To replace DeWolf, there are rumblings that an ex-Facebook employer is to take charge. All Things Digital is reporting that Owen Van Natta, former COO of Facebook, is in line to take the MySpace top job. And it's not just De Wolfe is leaving the company. 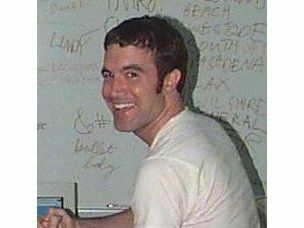 The face of MySpace and everybody's MySpace friend, Tom Anderson, is said to be leaving the company as well. Anderson's official role is as President of MySpace and although the statement released doesn't confirm Anderson's resignation, it does mention that MySpace "was in discussions with Tom Anderson, MySpace's president, about Mr Anderson assuming a new role in the organisation." The release continues: "Chris and Tom are true pioneers and we greatly value the tremendous job they've done in growing MySpace into what it is today. Thanks largely to their vision, MySpace has become a vibrant creative community with 130 million passionate followers worldwide."